Taking place over four days from the 29th of November to 2nd of December, the festival itself will feature a broad range of events from high profile talks with Roddy Doyle and Tommy Tiernan to live music concerts to a one day family fun day in St Patrick’s Park on the 2nd of December. Hosted by Saint Patrick’s Cathedral, the events will take place both within the Cathedral and in multiple venues across the city. Currently recruiting volunteers for this event, I was hoping that your students perhaps would be interested in working with us as part of their work experience, which I am more than happy to sign off on and provide reports or references. 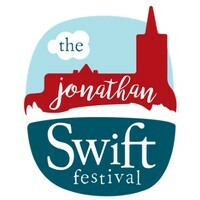 If you would like further information please do not hesitate to contact Sarah Cleary via email swiftfest@stpatrickscathedral.ie or by phone on 0879719498.